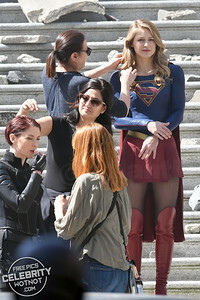 Supergirl is usually fighting crime on the streets of National City but it was her costume that was fighting the elements as the windy weather gave onlookers a flash under the Supergirl costume as Melissa Benoist shot scenes in Vancouver, Canada. 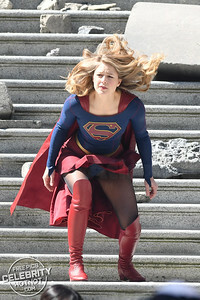 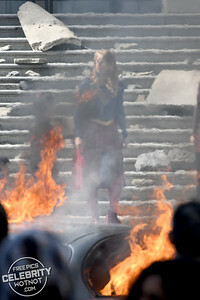 But the Colorado-born actress quickly wrapped her iconic red cape around her to cover up her skirt between takes on the set of Season 3. n fact, these pictures could quite well be for the season finale of Supergirl Season 3. 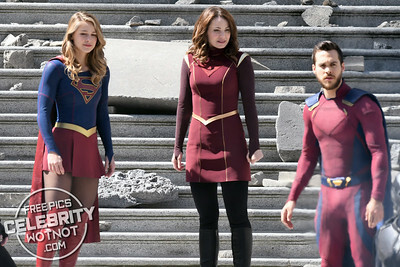 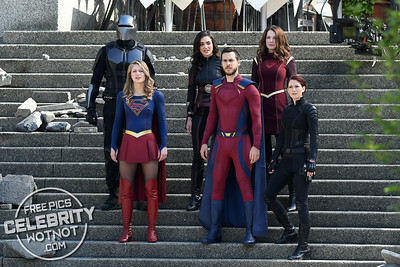 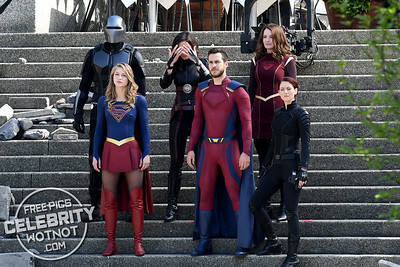 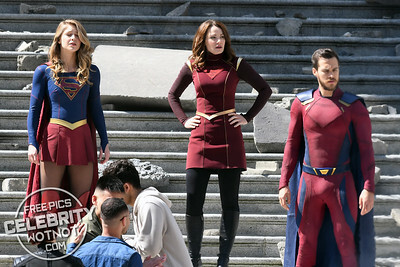 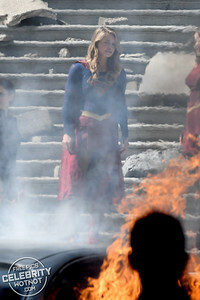 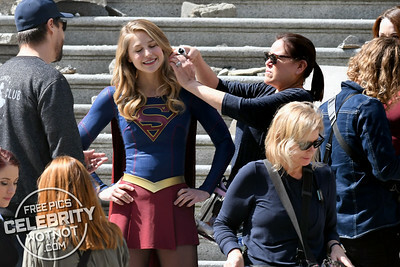 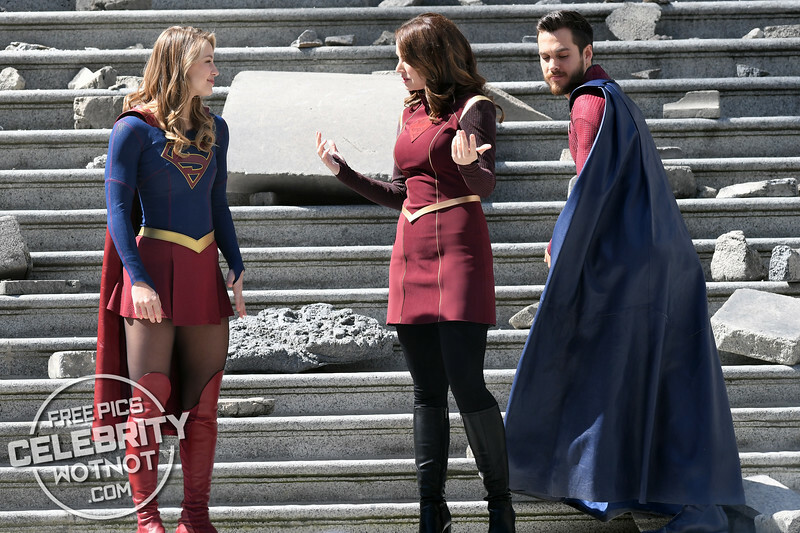 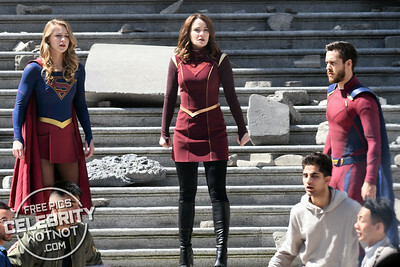 Several other main characters were pictured on set including Mehcad Brooks as James Olsen/Guardian, Chyler Leigh as Alex Danvers, Chris Wood as Mon-El and Erica Durance as Alura Zor-El. 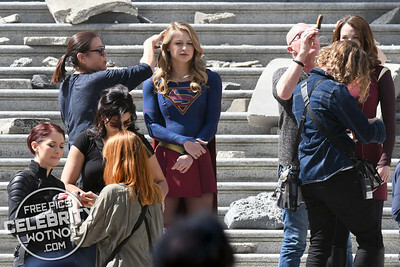 Pictures dated 2nd May 2018.